Building Block Computers supplies you with a choice of HP Integrity Systems. The HP Integrity technology is available as Entry-class and Mid-range, Server Blades and Rackmount Servers. 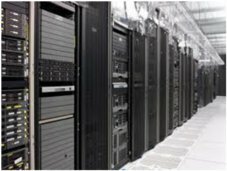 The high end Enterprise Class HP Integrity Superdomes and Integrity Nonstop Servers. From fully configured systems, upgrades, peripherals and spare parts, we provide you with dependable quality parts all backed with a full 90 day warranty.